Sewer and Drain cleaning is important to us. Wayne’s Drains knows how important commercial sewer and drain cleaning, repair, and maintenance can be. Commercial sewer and drains are important in every building in Greater Boston, and are especially important for commercial enterprises that deal with food service and preparation. Those drain lines need to stay clear and free of trouble, a backup or clog can bring your entire business or institution to a halt. It’s important to not only have a reliable company to call that can clean your commercial drains but one that can help you prevent future problems from ever happening in the first place. Wayne’s Drains has worked since 2000 to bring an edge of professionalism and dedication to commercial drain repair and maintenance, and we take great pride in a job well done. We’re your first choice for quality and service, and we have the skills and experience you need to ensure your drains work properly. Our technicians work hard to ensure your lines are clean, unclogged, and working at their optimum efficiency. Wayne’s Drains will work around the clock to fit your commercial service needs, striving to be the best in our industry every step of the way. Commercial drain cleaning the right way the first time. 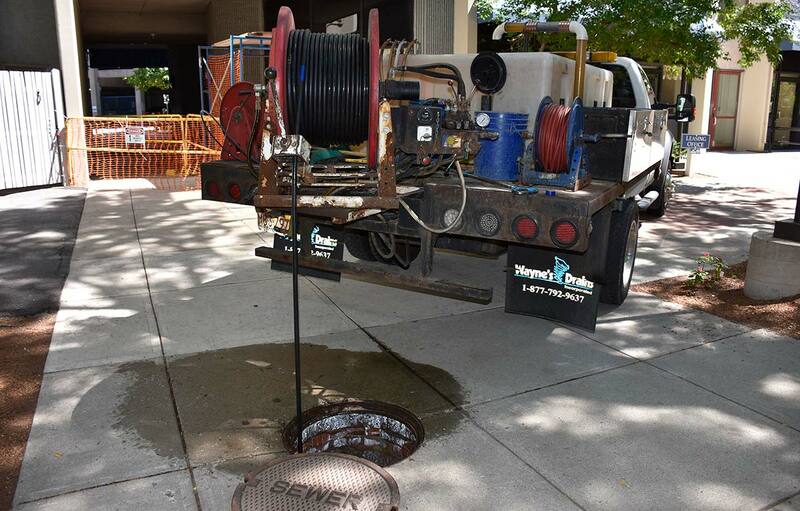 Your commercial drains have the singular job of moving wastewater from your commercial property into a large, civic sewer system in the Greater Boston area. When leaks spring up, or clogs cause wastewater to backflow into your property, it means your plumbing system is out of order until it’s fixed – that’s where we come in! While it may be inconvenient for a lot of commercial properties, non-working drains for commercial food services can be a catastrophe. Trust Wayne’s Drains to use the right tools and have the right expertise to handle your commercial drain cleaning the right way the first time. Contact us today for Emergency services or a free estimate.